From left, Suffolk District Attorney candidates Evandro Carvalho, Linda Champion, Greg Henning, Michael Maloney, Shannon McAuliffe, and Rachael Rollins at a debate earlier this month. Thursday night’s forum before an organization representing thousands of church, mosque, and synagogue members is the last chance for the six candidates running for Suffolk District Attorney to appear together and face questions from the public. And all but one of the candidates said they are attending. Greg Henning — a longtime prosecutor who has racked up endorsements from high-profile law enforcement officials such as Suffolk District Attorney Daniel F. Conley and former police commissioner Edward F. Davis — sent a letter Wednesday to members of the Greater Boston Interfaith Organization confirming he had decided to skip the group’s last forum. His reason: he does not like the format. Organizers of the forum, which is expected to draw 500 people to the Boston Teachers Union hall in Dorchester, said they told Henning and the five other candidates weeks ago about the format. They also gave the candidates the questions ahead of time, said Beverly Williams, co-chair of the organization’s criminal justice reform team. By requesting yes or no answers, organizers said, candidates will have to give definitive responses about issues important to the group, specifically sentencing and bail reform, collecting and releasing racial data on defendants charged by prosecutors, and the repeal of all mandatory minimums for drug offenses, Williams said. “The goal of the forum was to bring all the candidates together so that our membership could come and get a sense of how to distinguish between the candidates,” Williams said. GBIO does not endorse a candidate. Williams said candidates can give nuance to their yes or no answers during the live forum and Henning was told he would have that option. Henning said in the letter that he was looking forward to the forum until he learned of the format. The candidates for Middlesex District Attorney, incumbent Marian Ryan and her challenger Donna Patalano, have agreed to come to GBIO’s forum. So have the two Democrats running for governor, Jay Gonzalez and Bob Massie. 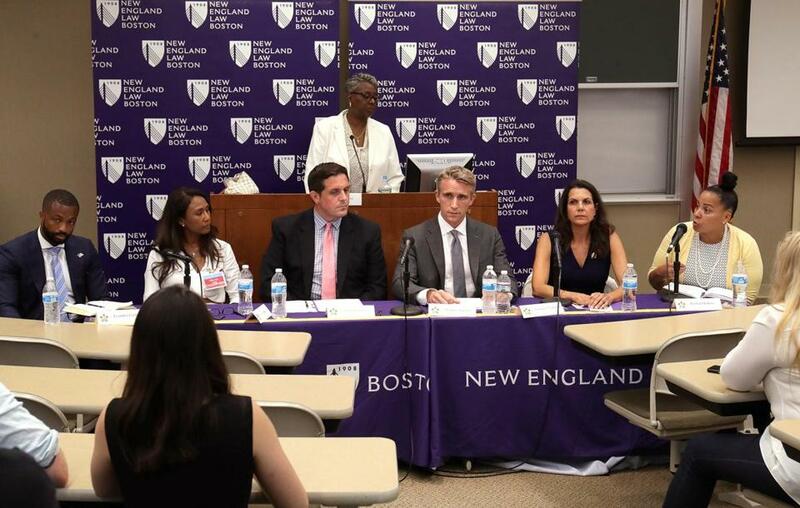 Henning faces former Suffolk prosecutors Evandro Carvalho and Linda Champion, Shannon McAuliffe, a defense attorney, and Rachael Rollins, a former federal prosecutor and general counsel for the MBTA in the Sept. 4 Democratic primary. The winner will square off with independent, Michael Maloney, a Brockton defense lawyer, in November. None of the other candidates have expressed misgivings about the format, Williams said.